First dental visits are trauma free, so there’s no need to gear yourself up! The first checkup will be relatively brief, after all, there are few teeth to check. All the same, it’s time to see how susceptible your tot’s teeth are to decay, and you’ll be able to form a clearer idea of how much dentistry he or she will need later on. You’ll also get good advice on how to look after your child’s teeth. Dietary tips and advice on habits such as thumb-sucking form part and parcel of the first appointment. Whatever you do, don’t create the impression that a visit to the dentist is going to be scary or unpleasant. 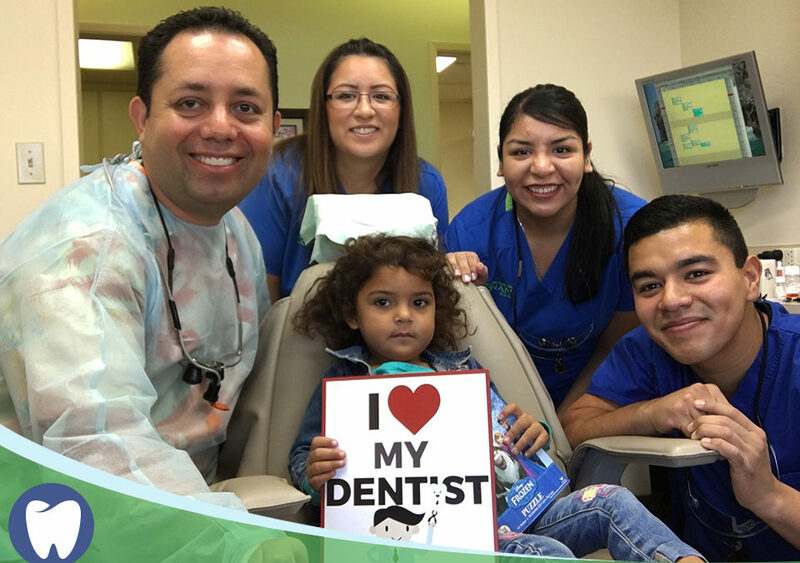 The first checkup will be quite fun and relaxed, and your little one is bound to enjoy the attention and all the new and interesting things there are to see in a Dr Donan, dentist in Fresno’ s office. Far from being an object of fear, the dentist’s chair is bound to be seen as a great toy! Keep it fun, relaxed and positive, and your child won’t be inclined to act up. Build up a positive attitude during the early years by using kids’ books, cartoons and stories that illustrate how important dentist’s visits really are, and tell your little one that the dentist is going to keep their smile beautiful. To prevent waiting-room boredom, allow your child to bring favorite toys along. Kids get fractious when there isn’t enough to do, so ensure that they’ll have plenty to keep them diverted. If your child does behave badly, Dr Donan, dentist in Fresno will know how to calm them down. Don’t turn it into an issue, or your child will start developing a negative attitude to dentist’s visits long before becoming acquainted with the drill. By building happy associations with dentistry, you’ll be making your life, and your child’s, a whole lot easier! We always try to let our young patients feel so comfortable as possible to give them a stress free experience. Contact us at 559 222-9923 to make an appointment with Dr Donan, dentist in Fresno CA.